In electronics a handy learning tool to gain intuition on the interplay between the various factors is to compare electricity to flowing water. Like all analogies, it breaks down if you look too closely, but you can actually get really far with it. In fact, my original intent was to explain how I think it applies to the fancy memristor, but first I'll post an introduction to the general ideas applied to current, voltage, and resistance. Imagine a clear pool of water high up in the mountains. You'd like to move some of this water to a basin further down the mountain for your thirsty llama herd, so you stick a really long straw into the pool and run it down to the basin. The water begins flowing, but not fast enough for your liking, so you replace the straw with a thicker one and are rewarded with a faster flow. 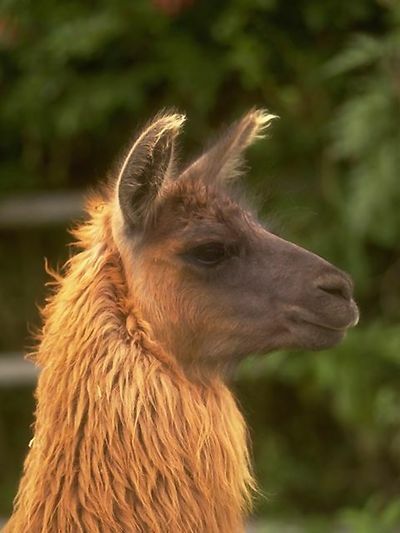 Now one of your prized llamas falls into the high mountain pool and begins to drown (I'm not really sure whether llamas can swim, but for the sake of the analogy let's assume this one can't). You now wish to drain the pool as fast as you can but you are out of straws! Luckily the pool is near a vertical cliff, so you put the end of the straw as far down the cliff as you can to increase the flow rate. So in electrical terms, the pool can be considered as a battery or capacitor. The height of the pool (feet above sea level for example) is the voltage of the battery, and similarly you can consider the height of your llama drinking basin as its voltage . Initially, because of the dirt around the high pool, the resistance between the pool and the basin is effectively infinite, so there is no flow between them. By inserting a straw, we drop that to a finite resistance, so the flow rate (current) is equal to the voltage difference divided by the resistance (which is a function of the size and smoothness of the straw). In electronics, the resistance of a resistor is a function of the physical cross sectional area of a conductor, its temperature, and material (how many electrons are floating around in the metallic 'soup' and how freely they can move back and forth without bumping into the nuclei. In increasing the size (or number of the straws) we decrease the resistance and increase the current. Now, in trying to empty the pool, we drop the end of the straw as far 'down' as we can (to a low voltage point), and that also increases the flow by increasing the voltage drop. So stay tuned for the next installment, but it might be a while, as I am currently procrastinating packing for an out of town trip for a few days. (I'm also procrastinating my broken Unity, and some libmtp magic that I need to perform to copy books over to my tablet... sigh). - Here is one point where the analogy begins to break down, as in electronics almost nothing is ever 'empty' in that completely neutral or even highly positively charged metals still harbor countless electrons ('water') to flow any direction.